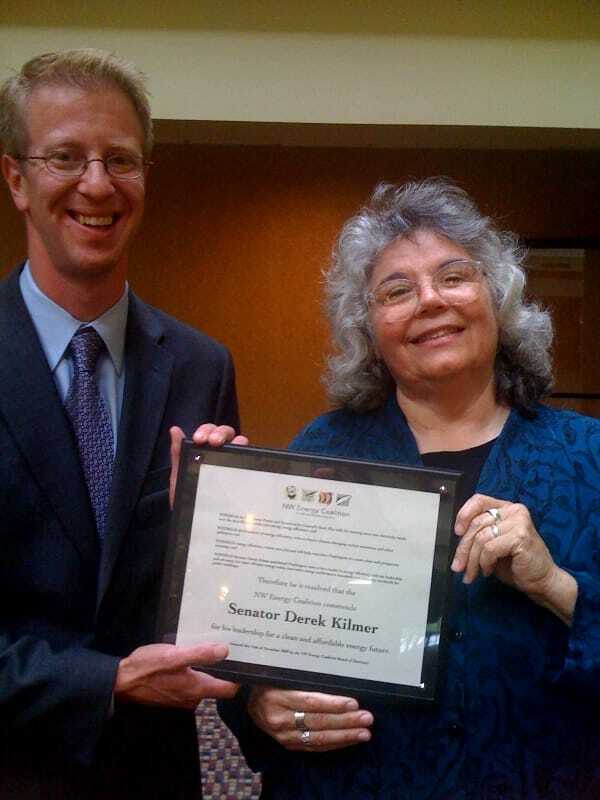 Washington State Senator Derek Kilmer (D-Gig Harbor) has been honored by the NW Energy Coalition for his legislative advocacy of energy efficiency. Kilmer was the Senate sponsor of Efficiency First (SB 5854), a state environmental community priority bill passed by the 2009 legislature. The bill gradually raises standards for new building construction, while improving energy efficiency in existing public buildings through insulation, better windows and improved heating and cooling systems. The Coalition resolution states that Kilmer’s efforts have helped positioned Washington state to be a leader in energy efficiency. In fact, passage of Efficiency First made Washington the first state to legislatively adopt the Architecture 2030 Challenge for making private and public buildings as energy efficient as possible. Therefore be it resolved that the NW Energy Coalition commends Senator Derek Kilmer for his leadership for a clean and affordable energy future.